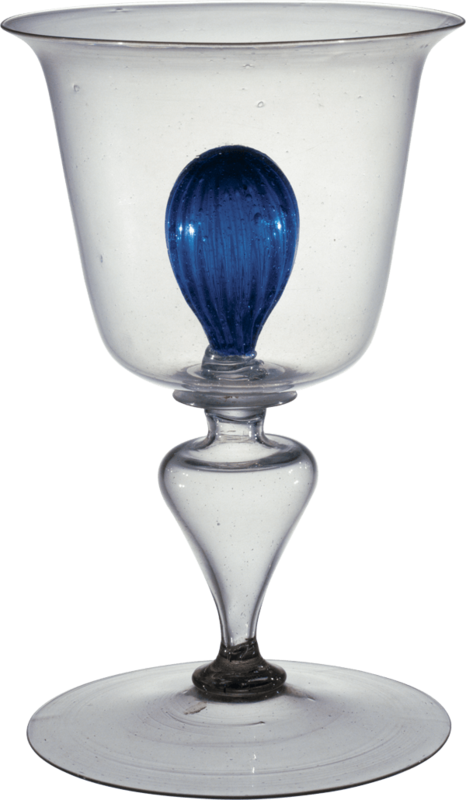 This goblet has a blown blue ball inside the cup. In this video, the ball is attached to the inner part of the cup. 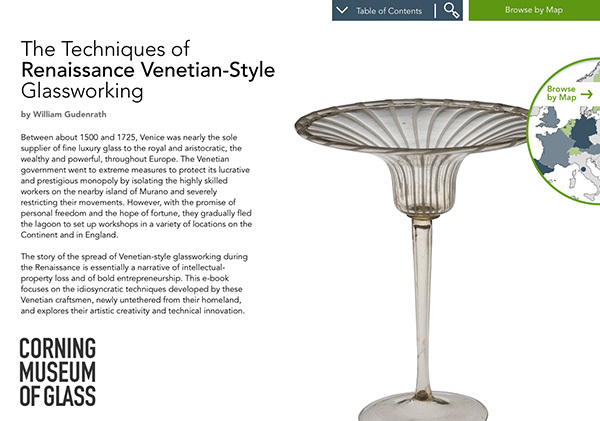 A number of Renaissance Venetian objects have a curious decorative ball. This is attached with a teeny bit of hot glass we call a glue bit. Here’s the finished goblet. 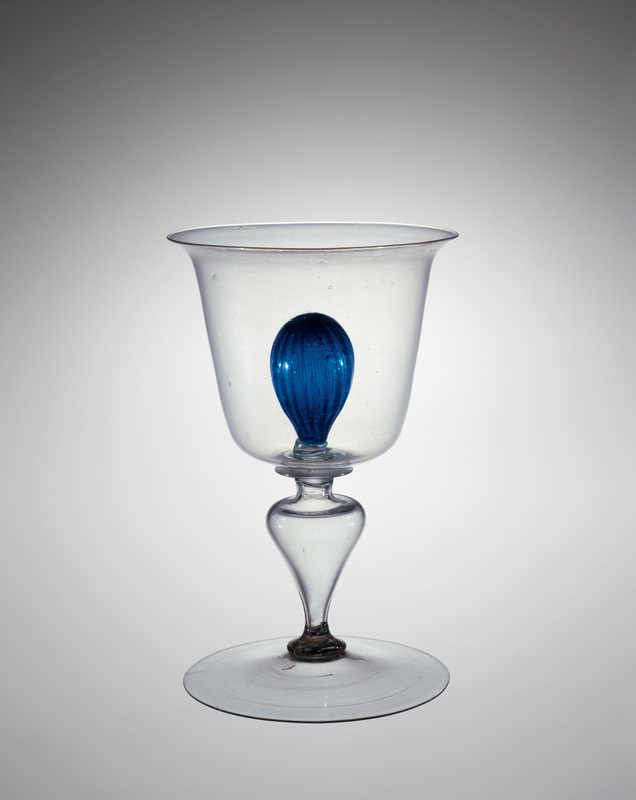 The ball has been made separately, a tiny amount of glass added to its tip, pressed in, and broken free of its punty. The entire vessel is flashed, broken free of its punty, and annealed.